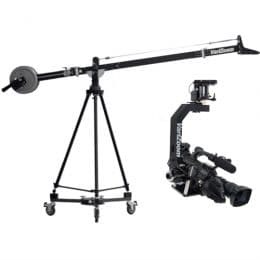 Quickly builds out to 16 feet, allowing high-elevation sweeping shots. 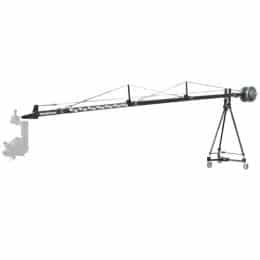 Using high-quality stainless hardware and precision-machined dovetail-locking sections, the SnapCrane is outfitted with the best in materials and features. 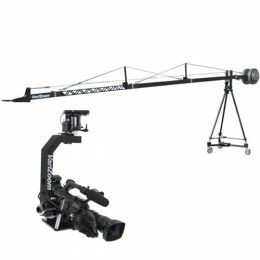 We sell 9ft, 12ft, and 16ft versions of this professional camera crane to meet any filming requirement, and all include our custom heavy-duty dolly with outriggers and tripod. 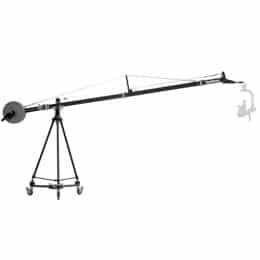 The 16ft SnapCrane can be configured to 5 different lengths for different applications. 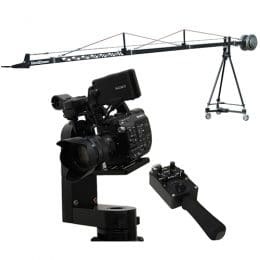 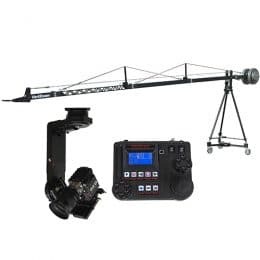 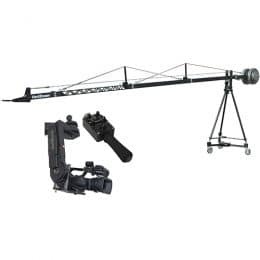 Replacement parts for this professional filmmaking crane are readily available and we offer excellent customer support long after a purchase is made. 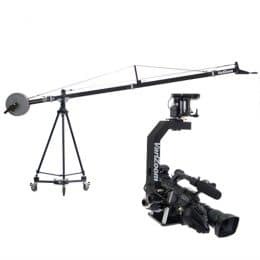 The SnapCrane’s multiple lengths and high-end build make it ideal as a sports video jib, filmmaking crane or church and house of worship production. 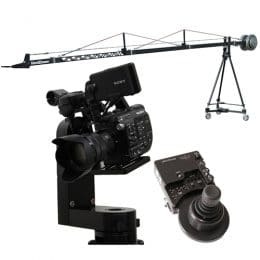 VariZoom’s incredibly versatile SnapCrane video jib is in a class by itself with our fast yet secure dovetail joint assembly, compact modular design allowing 5 different lengths, and painstaking quality control – no expense was spared. 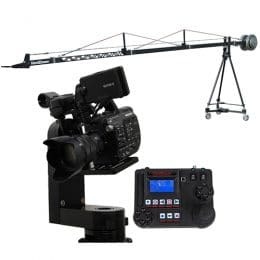 This video crane is designed for years of trouble-free operation and it has the fastest tool-free setup and longest reach of any crane in its price category. 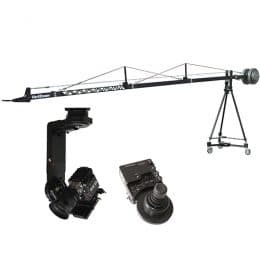 This professional camera crane for sale is proudly manufactured in Austin, TX with attention to every detail. 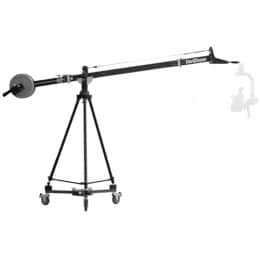 This is a heavy-duty tool that will last years with proper care.